I have played many long games in my life. I have always been perfectly okay with playing long games. I just enjoy playing. I suffer a lot when I lose but I cannot avoid that. Many of my games were equal and I was managing to unbalance them in the final stage. I like very much what Jan Timman said once. He said, "The position is equal but this does not mean that it is a draw". Before, we were playing 16 moves in 1 hour. Also, the games were adjourned after 40 moves and 5 hours of play. In this way, one game could easily last 7 hours or more. Nowadays, the games are shorter. The short time controls are much more difficult for me. Nevertheless, I have seen that many players play very well when they are short on time. Nowadays, the vast majority of chess players are most concerned about improving their opening. They spend many hours analyzing complicated lines and trying to come up with some fresh ideas that can be used in the next tournament. 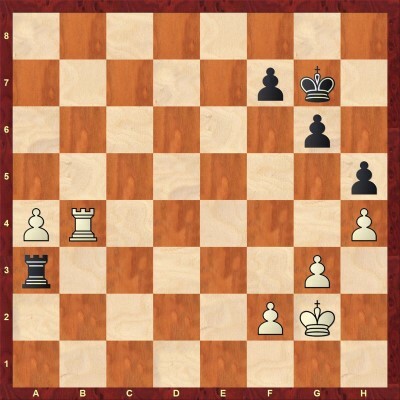 The obsession with openings is developed to such an extent that people have a tendency to underestimate the other components of the game - middlegame and endgame. As a matter of fact, opponents being relatively equal, the majority of the games are decided in the endgame. The endgame mastery becomes even much more important when we take into consideration the fact that time controls are constantly getting shorter. When we reach the endgame, we have no time for deep calculations and one must rely mostly on intuition and understanding. Forementioned considerations are the reason why Modern Chess decided to start creating endgame databases. When we speak about endgame, the Swedish GM Ulf Andersson is probably the most spectacular example that comes to our mind. That is why together with GM Mihail Marin we decided to release a series of databases dedicated to Ulf's endgame technique. Readers familiar with my book "Learning from Legends" already know that I like to study some thematic aspects of our game using some great players from the past as role models. If we think of endgame specialists from the late phase of the classical age, one of the first names coming up to mind is Ulf Andersson. Apart from his exquisite endgame technique and ability to squeeze a win apparently out of nothing, what impresses me is Ulf's general approach. 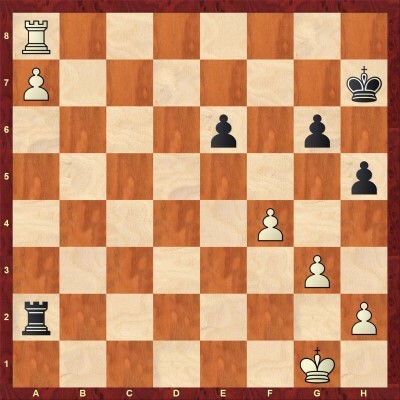 He rarely strives for an advantage out of the opening or early middlegame, preferring to play long games in which the balance is disturbed at a late stage, typically in the phase of simplification to the endgame, or even deep in the endgame already. But once he has obtained an advantage (be it winning, minimal or symbolic) Andersson's play becomes a mixture of patient maneuvering, aimed at tiring the opponent, and flexibility accompanied by concreteness. He can change the setup or main plan according to the most subtle details, many of them revealed only after thorough analysis. When evaluating the initial position in the rook endings below, I have used the same system as in the "Legends". 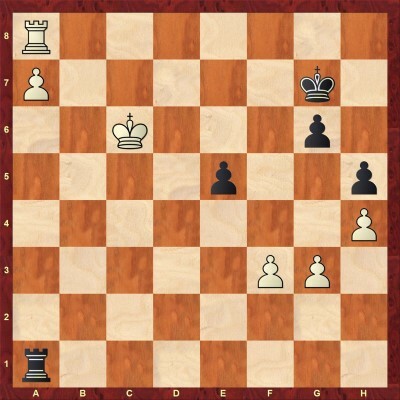 There are several material and positional factors which are valued with +1 or -1, for instance, extra pawn, active rook, centralized king, space advantage, better structure. The practice has taught me that an overall +1 score offers just practical winning chances but not a clear win, while a +2 usually is enough to get the full point. Of course, the system is not infallible, and sometimes it is not easy to evaluate all the aspects properly, but in most cases, it can offer orientation in the phase of simplification. I hope that the games selected for this database will help the reader to understand rook endings better. They surely helped me! The database consists of 6 basic positions (used as a model), 10 extensively annotated examples and 30 interactive tests. All the examples and test positions are taken from the games of Ulf Andersson. 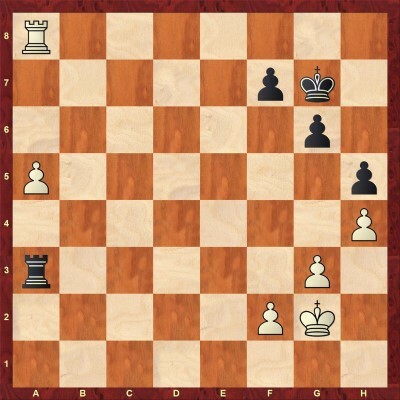 In this database, GM Marin covers 3 very important types of rook endgames - endgames with an extra pawn on the queenside, endgames with an extra pawn when the pawns are on the same wing, and endgames with a positional advantage. In this section, the author provides 6 basic positions which will help the reader to understand the subsequent examples. In his comments to these 6 basic positions, Marin provides detailed explanations of the plans of both sides. When necessary, his assessments are supported by example variations. After studying these positions, the reader will be ready to dive into the complexity of Ulf's endgames. 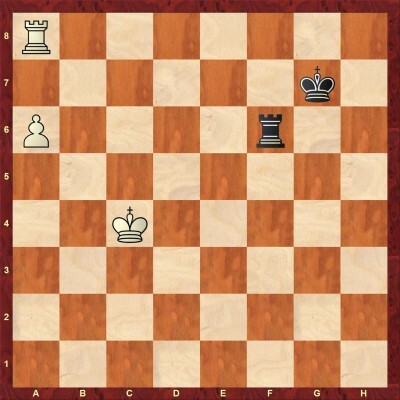 After going through the annotated examples, you will have a better understanding of the rook endgames. It is obvious that the theoretical knowledge is nothing without practice. This is the reason why Marin provides 30 interactive test positions. All of the games are taken from the practice of Ulf Andersson. In the solution to every test, you will find detailed annotations. Below, you can take a look at 5 tests.